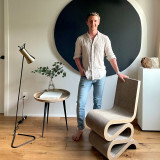 Greater Vancouver's Boutique Painting Company Best of Houzz 2019! Since 1993 I have had the privilege of painting some of the most beautiful homes in the greater Vancouver area. Whether it’s fine interior or exterior residential painting, heritage restoration, or decorative finishing; my mission is to provide exceptional quality craftsmanship and value to the discerning customer. As painting is an integral part of the essential maintenance to upholding and increasing the value of your home, I will personally take the time to understand your expectations, advise you on how to achieve your desired outcome, and to deliver the service and value that you deserve. Start with a free instant estimate at freshpaint.ca! Interior Painting Fresh Paint makes it easy to love where you live! 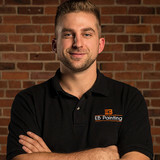 We're happy to provide you with a free instant estimate of your interior painting project, eco-friendly painting that ensures the interior of your home is safe and comfortable, professional removal of old wallpaper, drywall installation, replacement and repair, and offer a two year guarantee on all workmanship. 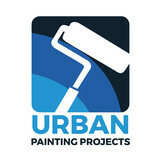 Exterior Painting Receive a free instant estimate followed by a detailed spec prior to starting your exterior painting. Your exterior project will then begin with an expert washing to thoroughly clean the exterior of your home with mold and mildew removal. We use top of the line products that are eco-friendly and guaranteed to last 15 years or more. Our local pro painters will treat your home like theirs. Fresh Paint offers a warranty on all exterior house painting. Strata Painting Your Fresh Paint Ace will arrange an in-person visit to take accurate measurements for your strata project, help you select products and colours, and create a detailed spec to send to Fresh Paint certified Local Pros. We'll get back to you with multiple quotes and help you choose the one that works best for you. We handle all coordination from start to finish! Your professional, affordable, full service painting contractor, serving the residential painting needs of the entire Vancouver area. Interior and exterior, carpentry repairs, power washing, colour consulting, and deck staining/refinishing – we do it all with a focus on customer service not commonly found in the trades. GoodHome Painting Co. is, at heart, an old-fashioned company that looks to pre-20th century Europe, where housepainters belonged to a strictly guarded and regulated guild of learned craftsmen. It’s our regard for this bygone era of proud craftsmanship combined with our obsession for service and value that truly defines who we are. We paint for tomorrow. We cherish the trust our clients afford us with referrals and future work. As this moving target never ends, nor does our ambition to improve every aspect of our service. This is made possible, in part, by bringing together our craftsmen on a full-time, long-term, profit-sharing basis. Our continued success flows directly from this home-grown commitment to our craftsmen. Our value to you is only as good as the value we provide. When estimating projects, we discuss all options; every detail is considered and there are no surprises. We subscribe to the philosophy of a “baker’s dozen”: we give you thirteen muffins for the price of twelve … just in case. Whether the job is a interior repaint, a full renovation of a heritage home or the new construction of a beautiful home, Warline Painting is a full service professional painting company in Vancouver, BC. When you hire us, we provide you with a professional colour consultation (restrictions apply). Our in-house colour expert is Heidi Nyline. She'll come to your home, listen to what you want to achieve and provide you with recommendations for colour choices that reflect your personal style and taste. In addition to its gallery of stunning photos of their work, Warline Online, the companies blog is full of great tips and expert advice on everything you need to know when hiring a paint contractor. We are an experienced team of highly motivated painting professionals dedicated in providing the best painting services available in the Vancouver area. There is no job too big or too small. We cater to your needs and customize each individual job with care and understanding. Our strength is generated from our commitment to our customers, our employees and ourselves. Priority Painting employees are full time professional painters and covered by our insurance. We have over 25 years of experience in the painting field and we pride ourselves in the work that we do. We only use high quality paint from Cloverdale paint, Benjamin Moore or Sherwin Williams, which exceeds the M.P.I. (Master Painters Institute) standards so that we can guarantee our work. We are a professional painting company with an outstanding customer satisfaction and referral rating. Quality, results, and impeccable service. All you need for the maintenance of your home or property, all without breaking the bank. With a professional staff and exceptional references, Coast City Painters is the only painting company for your property in the Greater Vancouver Area. Coast City Painters has built a reputation for our beautiful heritage restoration projects, and high-end Vancouver homes. Supplying you with industry leading quality of work, quick results, and terrific customer service. We are Coast City Painters the only painting company for your property. 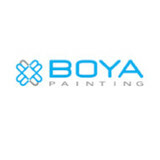 Give us a call at (604) 220-0081 or send us a message to get started on your next paint project! It is the mission of Armonia in Design Inc. to provide our customers with high-quality workmanship and to fulfill their wants and needs at the right price. Our friendly, knowledgeable and professional staff will inspire, educate and problem-solve as needed. Our passion is in helping to benefit our communities. Armonia means harmony and that is what we offer and deliver to our clients. Like the Humming Bird and the Bird of Paradise, we bring a special touch to your surroundings of balance and beauty. Sims Painting serves homeowners and businesses across the Metro Vancouver with detailed work and a commitment to a superior customer experience. From interior and exterior residential painting to a full range of commercial painting services, Sims Painting eliminates the stress often associated with painting projects. 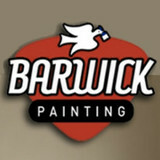 Barwick Painting has been providing the greater Vancouver area with painting services since the 70's. We specialize in residential paint and re-paint services as well as light-commercial paint projects. At CertaPro Painters, our reputation is based on Certainty -- your Certainty of a job well done. We focus on the details of every project -- interior and exterior -- and we focus on you, our client. We recognize that home and business painting is not an everyday occurrence for you. There is education and preparation that needs to occur to ensure your project goes smoothly and according to your expectations. We do this through a process of communication and education so we can co-create the best possible painting experience with you. We call this the Certainty Service System. At CertaPro, you'll never be surprised. You can be assured that we will always deliver superior service that is on time and on budget. We are a company with a culture of respect. Respect for our employees. Respect for our franchisees. Respect for, you, our customers. We are painting experts. To that point, we take personal pride in all of our work. We have over 20 years experience in interior and exterior painting. We have painted residential, commercial and industrial projects. White Rock Painters is a full service proffesional painting company specializing in the finishing or Exterior and Interior residential and commercial projects. We have recently expanded our operations to include home renovations especially kitchens. Prorise Painting is the "Most trusted painting and decorating contractor." Prorise Painting has built their reputation on being one of Vancouver's most professional painting contractors. Continuing a family tradition of European Excellence in quality and service, Joseph Halfar and his team specialize in providing quality painting and restoration services. So wether you are a homeowner or business person, or need one room painted or the entire office, you can be assured that Prorise Painting will make sure its done right the first time. Delivering an enjoyable experience from start to finish, honesty, strong communication, understanding, and high end workmanship are just some of Prorise Paintings' core values. Be sure to call or email us today to get more information.